This is a cover for Melange Books. 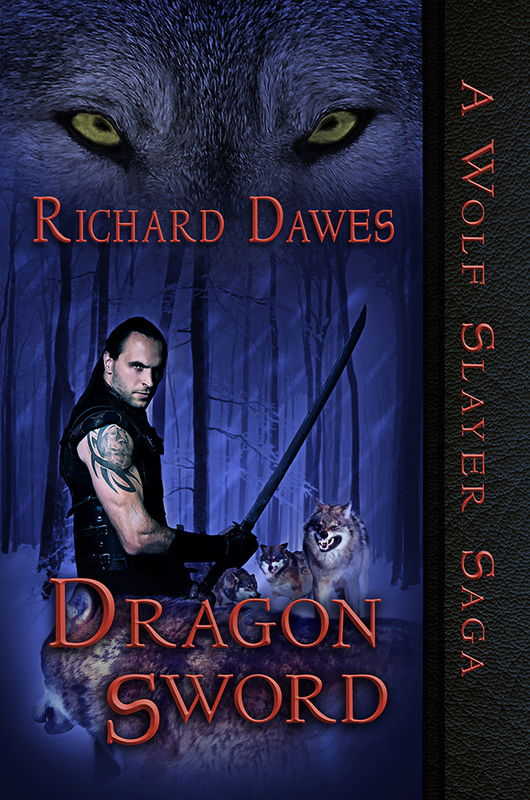 Since we knew we had a sequel coming, we put a little more focus in setting up the basic structure of the cover… the wolf head at top, the series name on the side, and the placement of the title and author name. We also played with the mood, choosing the dark blue color for the forest and the red of the title to create a dramatic, dangerous tone. We chose a model with multiple poses, though I did a bit of photomanipulation to make him look more like how the character is described in the book. I also made both him and the wolf have a more noticeable scowl, and I played with the depth of field to put more of the emphasis on the model.